A tough and pragmatic leader, outspoken advocate for social justice and women's rights, and resilient and intelligent politician, Hillary Rodham Clinton has achieved many firsts in her roles as First Lady of the United States, U.S. Senator, presidential candidate, and Secretary of State. As she put it in her 2003 memoir Living History, "My mother and my grandmothers could never have lived my life; my father and my grandfathers could never have imagined it. But they bestowed on me the promise of America, which made my life and my choices possible." She has also made many enemies and became one of the most highly polarizing figures in recent political history. The eldest daughter of Hugh and Dorothy Rodham's three children, Hillary Diane Rodham was born in Chicago on October 26, 1947. Her father, owner of a small drapery fabric business, was a staunch Republican from Pennsylvania. Her mother, a closet Democrat who left her own dysfunctional home at 14 to work as a nanny, was affectionate and levelheaded. From her parents, Hillary learned thrift, hard work, self-reliance, service to others, and a love of God and country. Her mother inculcated a deep respect for learning and coached her young daughter to fight back against bullies: "You have to stand up for yourself," she told Hillary. "There's no room in this house for cowards" (Hillary Rodham Clinton, Living History, Simon & Schuster, 2003,12). In a debate during her 2008 campaign, Hillary would credit her mother as her defining inspiration, a woman "who never got a chance to go to college, who had a very difficult childhood, but who gave me a belief that I could do whatever I set my mind [to]." When Hillary was three years old, the Rodham family moved into a two-story brick house in Park Ridge, Illinois. Hillary participated actively in her Methodist church, excelled in the town's first-rate public schools, and demonstrated an early interest in politics. Through her teenage years, Hillary mirrored her father's political leanings. At 13, she canvassed the South Side of Chicago after Richard Nixon's defeat and she volunteered for Barry Goldwater's campaign in 1964. In 1965, she enrolled as a political science major at Wellesley College, where she became the president of the Young Republicans Club her freshman year. But the tumultuous years of the 1960s opened Hillary's mind to new political perspectives. After hearing Dr. Martin Luther King, Jr. speak in 1962, Hillary began to develop strong opinions about civil rights, social justice, and Vietnam War. By 1968, she was exploring the political landscape and working for politicians of both parties. She supported Eugene McCarthy's (D-Minn) presidential campaign, served as a summer intern for the House Republican Conference (attending the Republican National Convention as a volunteer to draft Nelson Rockefeller), and witnessed the protests at the Democratic National Convention in Chicago. Before the end of that year, she decided to leave the Republican Party -- or as she later put it, "it left her." As president of the student government at Wellesley, Hillary became an activist committed to working within the system. Seeking to ward off violence in the wake of King's assassination, she helped organize a disciplined two-day strike on campus and worked as a liaison to channel constructive dialogue and meaningful action. Her commencement address garnered national attention in magazine. As a student at Yale Law School, Hillary continued to pursue her interests in social justice, children and families, and politics. She was on the board of the Yale Review of Law and Social Action, worked at the Yale Child Study Center, took on cases of child abuse, volunteered at New Haven Legal Services, and researched the problems of migrant workers for Walter Mondale's Subcommittee on Migrant Labor. In her post-graduate year, she continued her work studying children and medicine and served as staff attorney for the Children's Defense Fund in Cambridge, Massachusetts. In the spring of 1971, Hillary introduced herself to Bill Clinton, whom she had seen around the Yale campus. 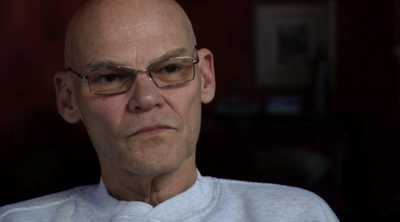 Bill had "a vitality that seemed to shoot out of his pores, she reflected. They shared a common interest in social justice and politics, and began what would be a lifelong relationship. In 1974, when Bill returned to Arkansas to pursue his political career, Hillary moved to Washington to work as a member of the impeachment inquiry staff advising the House Committee on the Judiciary during the Watergate investigation. When President Richard Nixon resigned later that year, it brought Hillary's job to an end, and she made the life-defining decision to move to Fayetteville, Arkansas to be with Bill. The next year they wed in a small ceremony at their home. Hillary started out as a faculty member at the University of Arkansas Law School, where Bill was teaching when he ran unsuccessfully for Congress. 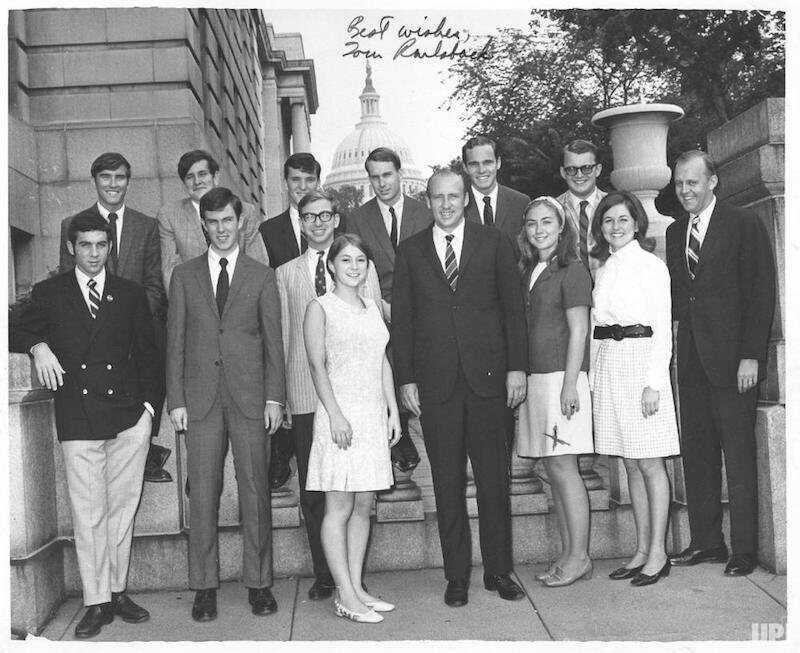 In 1976, Bill won his first elected position as Attorney General of Arkansas and the couple moved to the capital city of Little Rock. There, Hillary began working at the well-established and politically connected Rose Law Firm, where, within a few years, she became the first woman to be named a full partner. She served on the boards of several non-profit organizations and large corporations, including as the first female board member of Wal-Mart, and was the primary breadwinner for the Clinton family. She also continued working on behalf of families, co-founding Arkansas Advocates for Children & Families in 1977, and on political campaigns, serving as Jimmy Carter's Indiana director of field operations in 1976. In 1979, Bill became governor of Arkansas, and in February of 1980, Hillary gave birth to their daughter Chelsea. As Bill's career advanced, public attention focused on Hillary. Viewing her as an intellectual feminist from Chicago with a successful career, a different last name from her husband's (she had kept her maiden name when they married), and a style many thought of as bohemian, many members of the public thought she did not fit the mold of the traditional politician's wife and she became a target for criticism. When Bill lost his gubernatorial re-election bid in 1981, Hillary took her critics' comments to heart, adopting the Clinton last name and making over her personal style to be more in keeping with public expectations. She was also instrumental in organizing his comeback campaign of 1983. Hillary played an unusually prominent role as Arkansas' first lady during Bill's total of five terms as governor (1979-81 and 1983-92). She chaired the Rural Health Advisory Committee, working to expand medical facilities for the poor, and she achieved hard-fought reforms in public education as chair of the Arkansas Educational Standards Committee. In 1983 she was recognized as Arkansas Woman of the Year, and Arkansas Young Mother of the Year in 1984; in 1988 and '91 she earned a spot on the National Law Journal's list of the 100 most influential lawyers in America. Her work on education also helped the public consider Bill as the "education governor," and helped raise his national profile. In 1993, when Bill was elected America'42nd president, the couple moved back to Washington. Hillary was the first to have a postgraduate degree, her own professional career, and her own office in the West Wing of the White House. And she was the first since Eleanor Roosevelt to take on a prominent role in policy-making. Her high profile in the administration again made her a target for political opposition. The first week of his presidency, Bill appointed Hillary to head up the Task Force on National Health Care Reform -- what he hoped would be a cornerstone initiative of his administration. As she had done with education reform in Arkansas, Hillary worked with energy and determination, touring the country and listening to constituents' stories and problems. However, once back in Washington, she surrounded herself with a close group of advisers and went behind closed doors to draft the plan. It was a disastrous approach -- one she would later blame on her political inexperience -- that ultimately failed to interpret what the majority wanted, and failed to get powerful stakeholders on board. Derisively referred to as "Hillarycare," the controversial Clinton healthcare reform plan was besieged by a groundswell of opposition, and by September of 1994 the administration abandoned it. It was a severe blow to the administration and to Hillary's ratings as First Lady. "She'd been caught out trying to be a co-President," said Gail Sheehy, author of Hillary's Choice, in a recent interview. Hillary had again learned a lesson about balancing her ambitions with the public's expectations of their First Lady. During Bill's second term, Hillary cultivated a more traditional profile. She continued to focus on health and welfare issues, especially those involving children, and in 1997, supported the passage and rollout of the State Children's Health Insurance Program (SCHIP), which expanded health insurance for children in lower-income families. She was instrumental in the enactment of the Adoption and Safe Families Act, legislation that eased the removal of children from abusive situations. Hillary helped create the Department of Justice's Office on Violence Against Women in 1994, and during her travels to more than 80 countries she was a forceful advocate for women's rights. In 1995, during an unprecedented address in Beijing to the United Nations Fourth World Conference on Women, Hillary recounted worldwide abuses and declared "It is time for us to say here in Beijing, and for the world to hear, that it is no longer acceptable to discuss women's rights as separate from human rights." First Lady to be subpoenaed to testify before a grand jury. Ultimately, the investigations concluded there was insufficient evidence of wrongdoing. The Clintons' private life faced further public scrutiny with rumors and accusations around Bill's extramarital affairs. In 1992, Hillary had defended Bill and their marriage in a notable interview credited with rescuing his presidential campaign after the Gennifer Flowers affair. In 1995, as the scandal of Bill's affair with White House intern Monica Lewinsky unfolded, Hillary won the admiration of the public through her strong and thoughtful response. She ultimately reaffirmed her commitment to her marriage, and her ratings rose dramatically, even as her husband was impeached. By the time Bill was acquitted in 1999, Hillary was already making plans for her next phase, for the first time focusing on her own political career. In 1999, nearing the end of Bill's presidency, the Clintons purchased a home in Chappaqua, New York. The following year, Hillary became the first wife of a president to run for national elected office. She won the race by a significant margin, becoming the first female senator from New York, and she was reelected in 2006 by an even wider margin. In 2008, while running for president, she earned the most delegates and primary victories of any woman who had run before. She was narrowly defeated for the Democratic nomination in a tough and divisive primary contest with Senator Barack Obama of Illinois who went on to win the Presidency. When she agreed to become Obama's Secretary of State, she became the first former First Lady to serve in a presidential cabinet. In that role, she has earned high praise for establishing a strong working partnership with her former opponent. 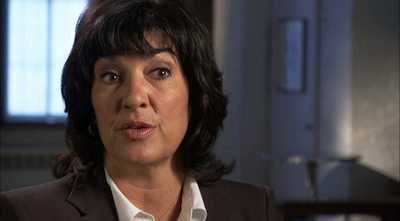 Christiane Amanpour was famous for asking Bill Clinton about his "flip flop" tendencies in Bosnia. Read the full transcript of her interview.